We welcome you to a showcase of six beautiful homes in the Litchfield community. All proceeds benefit the Auxiliary Scholarship Fund for students in the health care field. Sunday, September 30, 2018 | 12:30 to 4:30 p.m. $20 pre-sale | $25 day of event. Tickets available at the HSHS St. Francis Hospital Gift Shop or the Holiday Inn Express. 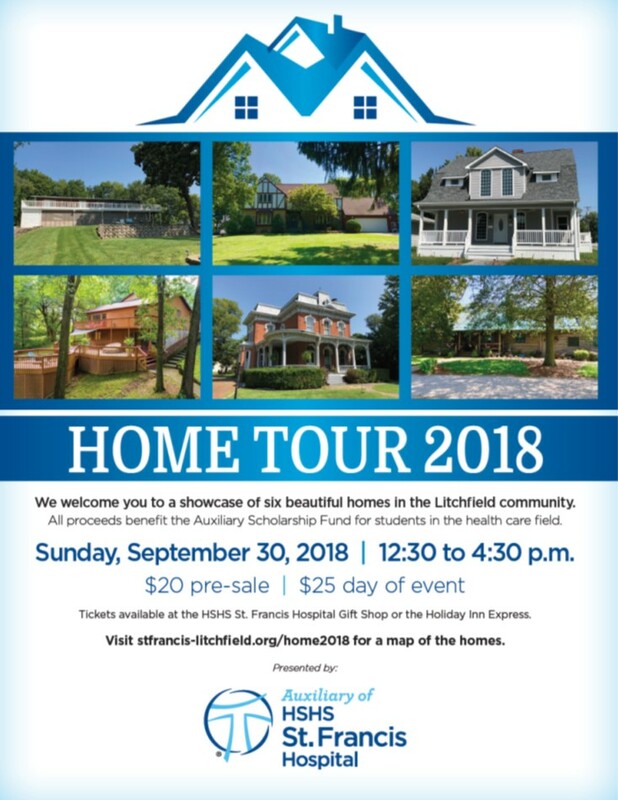 Visit stfrancis-litchfield.org/home2018 for a map of the homes.